"International Coats of Arms designs and makes modern metal, custom made, coins for groups and organizations." Discover their origin and unique designs. Why are we the best supplier for your custom coins and challenge coins? No one is sure who created the first coin but there are many experts who all have different theories. Coins have been found from as early as 7th century BC and are believed to come from the ancient civilization of Lydia. Governments have been using coins as currency for centuries and in recent years modern technology has allowed coins to have multiple metals, better edging and sharp-looking designs. 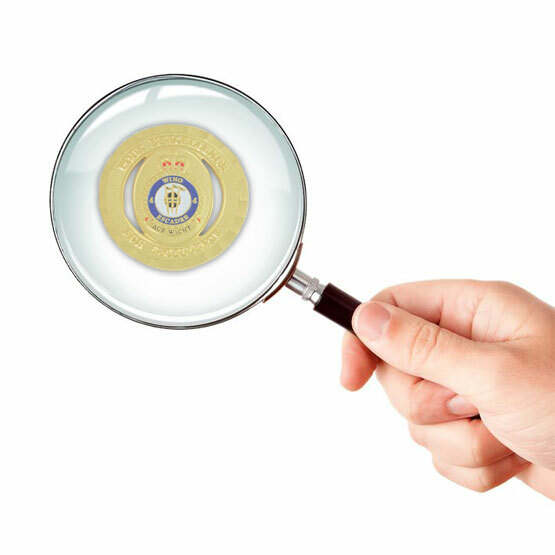 International Coats of Arms has faithfully supplied organizations with Custom Coins that meet the highest standards. 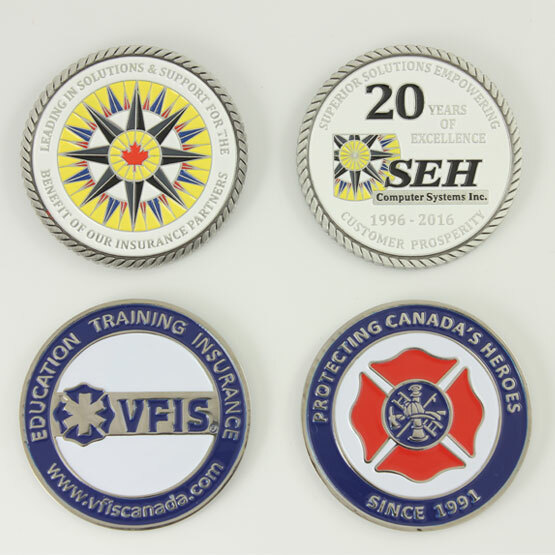 We create custom made coins by using your insignia, or by helping you design something new. 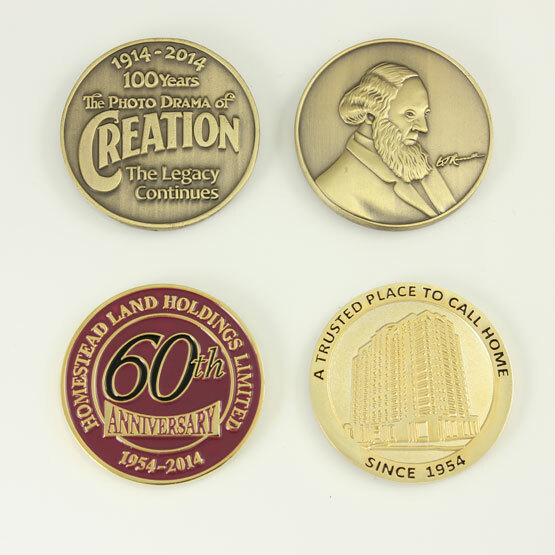 More than just loose change, a custom made coin is a great metal souvenir for any event or accomplishment. International Coats of Arms works with you to create a custom coin that you can be proud to stamp your logo on. Our sales people will coast you through the process of finding a coin that works for you and our design staff will make your message stand out from your coin. How are Custom Made Coins Made? 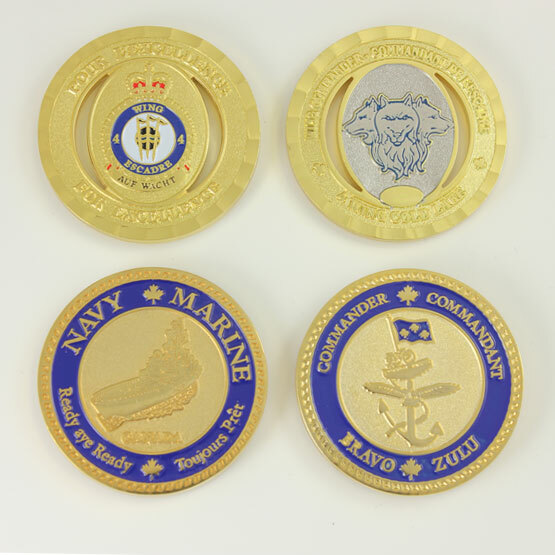 International Coats of Arms custom coin creation system is considered elite among the industry. The big difference that separates us from our competition is the way we work with you, our customers. We want to help you create a custom coin that is worthy of the trophy case, not hidden underneath your sofa’s cushion. All our coins are die-stamped and double-sided. Similar to medallions (but much more work at they have 2 sides) plating, colors are your choice. In the case of Challenge coins, typically the military logo appears on one side and a specific message of theme appears o nthe other. Our sales staff will consult with you to help you create a coin that balances look with price. International Coats of Arms experience in creating custom coins has allowed us to create a lot of different kinds of coins for groups of all sizes. We bring all of our tools and experience making custom made coins to you, our designers have experience with incorporating your group’s existing design or working with you to create a brand new one. Whether its size, shape, colors, metals we can do it all and will send you a full color proof of your design right away. 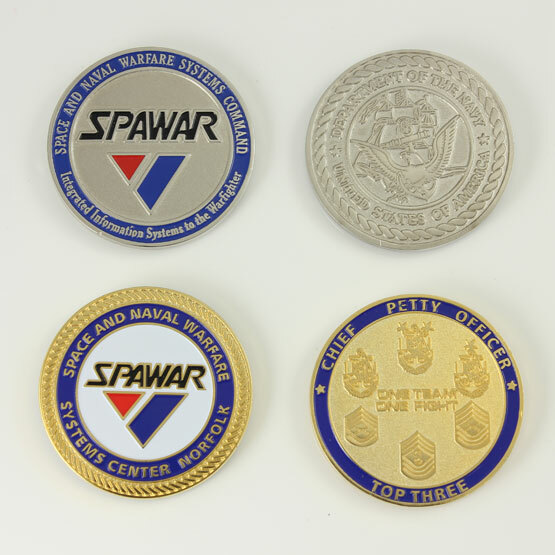 Throughout our time making custom coins, we have found challenge coins to be one of our more popular items. A challenge coin is a coin that bears a group’s emblem; these coins are given to members within an organization. 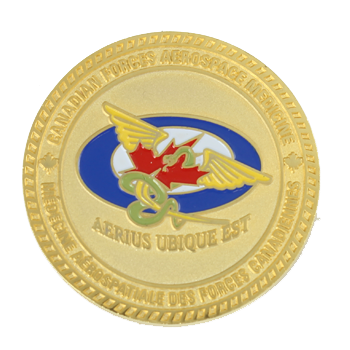 Challenge coins are given to prove a person’s membership to the organization and act as proof if the person’s membership status is challenged. 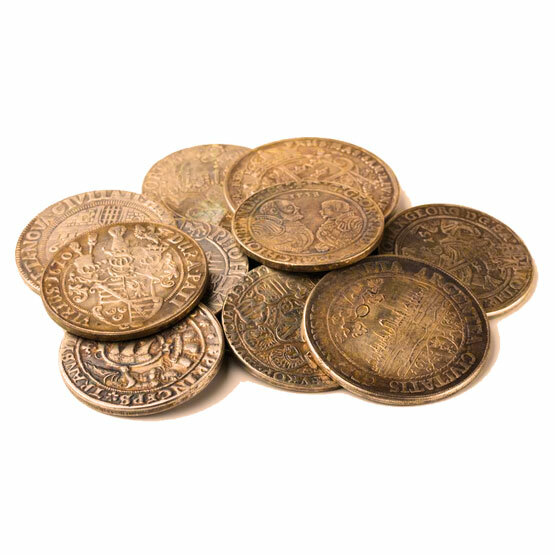 Our custom coins are worthy of any collection and International Coats of Arms does this by using top-quality metals along with design technologies when creating custom coins. We do it all, everything from effortlessly guiding you through our design process to shipping your custom made coins to your doorstep. Historians also dispute the origins of challenge coins, but many agree that the metal coins were created in the United States by the United States Army Air Service (the predecessor of the United States Air Force). In its early days the Air Service was full of pilots who worked daytime jobs and challenge coins were given for members of a squad to easily identify themselves. "The Challenge" As the story goes, one must carry their challenge coin at all times. If one is "challenged" to show their coin and does not have it on them, they must either forfeit something or pay the price for its absence. Whatever your choice for a custom product, InternationalCoatsofArms.com has the presentation box available for you.